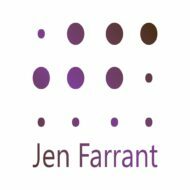 Our website address is: http://www.jenfarrant.com. Unless you purposefully sign up to our mailing list we do not store your contact information. We do not share the data with anyone, other than Mailchimp, the host of our emailing service. If you sign up to be notified by email of new posts this data is held by WordPress, not by us.